If a SEPTA rider is waiting on a late train or bus, one of the most immediate and proactive actions they can take is to tweet at @SEPTA_SOCIAL. If all goes according to plan, the rider will get a reply tweet within five minutes. The man supervising this real-time rider response effort is Kim Scott Heinle, SEPTA’s assistant general manager of customer service and advocacy, and 1994 Drexel LeBow MBA graduate. 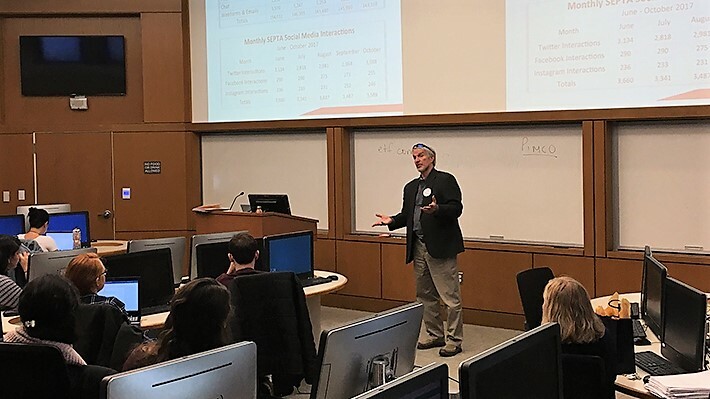 He returned to campus to speak with Assistant Professor of Marketing Elea McDonnell Feit’s Data-Driven Digital Marketing class and share how social media and analytics have shaped his approach to customer service. Heinle explained the digital tools his team relies on to monitor social media chatter and the metrics they use to measure success. Among those metrics is response rate and speed: The @SEPTA_SOCIAL team now meets their five-minute reply goal 95 percent of the time and boasts a nearly 100 percent reply rate on a typical business day. 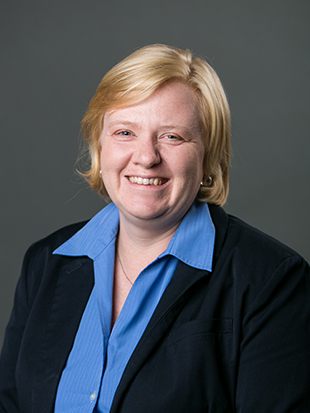 A new Drexel LeBow assistant professor of marketing fosters a keen interest in bridging the gap between analytical and creative thinkers both in the classroom and in research. When New Media Marketing, a digital marketing overview course, launched at LeBow in 2012, it was met with intrigue both on campus and online. The hybrid class features digital marketing concepts, frameworks, best practices and real-world case studies from local and national experts in the space.